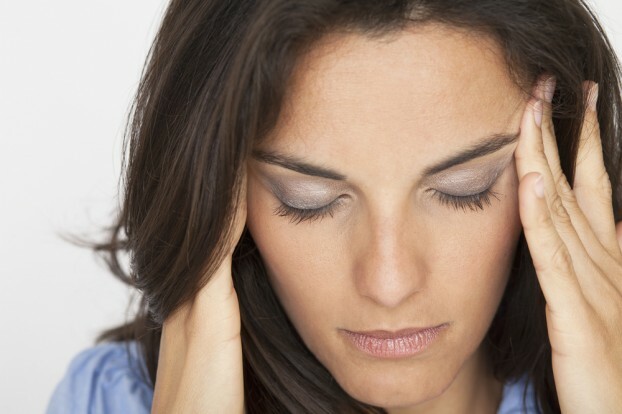 Headaches can be caused by almost anything from dehydration to sounds produced by nearby electrical signals. If you are out of your typical pain-blocking medication, try sipping on some caffeine instead. According to Web MD, caffeine restricts the flow of the blood vessels that cause your head to throb. In fact, caffeine is one of the main ingredients in over-the-counter headache remedies. However, if the headache is severe, caffeine will probably not cause a noticeable difference. Stress and anxiety go hand-in-hand for most people. However, for general stress an anxiety about issues like work and the pressures of daily life, there are many home remedies that can help prevent symptoms from interfering with your enjoyment in life. Meditation is effective at reducing the signs of stress on the body. Exercise, GABA supplements, massages, and drinking chamomile tea can help relive the stress at the end of a day. Do you suffer from monthly cramping and pain? You don’t have to take medication to stop minor period-related pains. Surprisingly enough, catnip can help reduce period cramps. Catnip relieves muscle spasms, which can help make menstrual cramps less painful, or maybe disappear altogether. Simply brew a tea with the herb. The flavor is not as gross as you might think, and it won’t make you crazy like it does for cats. Out of antibacterial ointment? Never fear! Just put some honey on it. Honey has as many antibacterial properties as most antibiotic ointments, according to studies. Simply apply honey as you would apply a burn cream or antibacterial ointment and cover with gauze or a sticky bandage. Your wound will heal nicely as normal. Any burn that is deeper than first-degree, however, should be inspected by a doctor. If you get sore muscles from exercise, sleeping poorly, or sitting in a strange position throughout the day, you don’t need a muscle relaxer or over-the-counter medication. You can engage in several home remedies that are cheap and effective. A daily supplement of anti-inflammatory supplements (like potassium) can help prevent pain from occurring in the first place. Yoga exercise are effective at reducing muscle pain and are completely free. In the long run however you may want to change your beds or seats to healthier ones – check out webshops like HealthyBack.com for the solution. It may require a little investment but it’s still cheaper than medication or treatments you may need later. These five tips will help keep money in your pocket without sacrificing your health. With the right materials and steps, you can improve the health of your body with objects and ingredients you already have lying around your home. The next time you suffer from any of the above symptoms, try one of these cheap home remedies before you visit your doctor. If symptoms persist, always consult with a health professional. Next story Should Game Show Winnings Be Tax Free?